My denominational tradition—Baptist—and specifically my denominational tribe of heritage—Southern Baptists—has three dimensions of denominational structure. They are known as associations, state (or regional) conventions, and national agencies and institutions. Associations are the local entity which I categorize generically as dynamic spiritual and fellowship organisms. State conventions and the national expressions are organizations. In historic order associations came first. 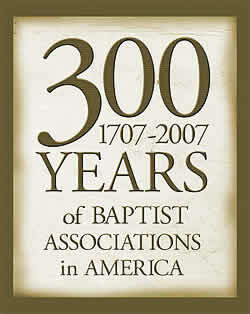 The initial association of Baptists in my tradition was the Philadelphia Baptist Association established in 1707. The first association in the South that was ultimately part of my tribe was the Charleston (SC) Baptist Association established in 1751. The first state convention in my tribe was the South Carolina Baptist Convention established in 1821. Finally, the Southern Baptist Convention came into existence in 1845. These two entities did not replace local associations, but carried forward the work of Southern Baptists from a different dimension and with somewhat different foci. With the transformation of denominations in the past 40 years, it is a legitimate question to raise as to whether all three entities of my tribe’s denominational structure are still essential and needed. It is certainly a question discussed in formal and informal settings, and acted on by congregations in an autonomous denominational movement such as Southern Baptists. With significant transition and changes in how congregations and individuals financially support the three dimensions of denominational life among Southern Baptists, one observation can be made without fear of successful contradiction. Southern Baptists are unwilling to financially support all three dimensions of denominational life unless they see added value expressed by each for the fulfillment of the mission of God. If three dimensions of denominational life are not sustainable, and one needs to disappear, which one is that?